Do you stress out when dealing with complicated math concepts? Are you failing at tests even after hours of daily homework? Are you afraid your favourite university will be out of reach if you don’t succeed in math? Do you feel anxious and alone? Overwhelmed and not knowing who to turn to for help? 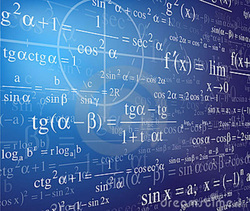 Has a previous experience with math tutoring left you feeling disillusioned and unsure? Relax, I can help you!! Math Tutoring is a true passion of mine - I really love it! In addition to assisting you with all your math challenges, I will show you techniques to overcome your fears and guide you onto a path of confidence and success! You no longer have to feel anxious about math or lost during class! With over 40 years experience tutoring students to success in mathematics I have come to understand how important it is to feel supported not only during face-to-face sessions but throughout the week - you no longer have to feel alone when faced with math homework. I know how you feel and with my support, you will start seeing the light at the end of the tunnel. My Signature System is the 21st century approach to Professional Math Tutoring. It supports you academically and emotionally during and in between sessions. It is based on expertise in Mathematics and combines empowerment tools with success strategies and Young Living Therapeutic Grade Essential Oils to improve your knowledge and skills in math and create levels of confidence that transcend all aspects of life – well beyond your needs in your current math courses! I invite you to discover everything that's included in my Math Tutoring Signature System by following this link: services.